The Toy Museum of Catalonia is deeply committed to universal access to culture and knowledge, in addition to social cohesion. We work closely with the community and for every sector of society with the aim of improving people’s lives. We promote accessibility, inclusion and equality, along with educational quality for everyone, always. The Museum cooperates with several institutions and entities within the Catalan territory, promoting and participating in different inclusive programmes that are aimed at social cohesion. The Museum participates in several programmes promoted by the Social Welfare and Education Department and the Neighbourhood Plan laid out by Figueres City Council. 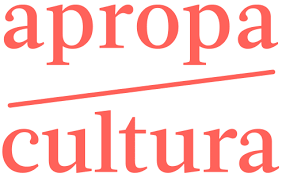 At the same time, we are part of the Apropa Cultura programme, an initiative centred on social inclusion in the cultural field. We also take part in several leisure, training and occupational programmes in partnership with the ALTEM Foundation, which works with people with intellectual disabilities or mental illness and is a major reference in this field in the Alt Empordà region. ALTEM provides cleaning services at the Museum, among others, and the Museum also welcomes members of ALTEM’s INCORPORA programme for the socio-occupational inclusion of vulnerable sectors of society as they undertake an internship with us. We have also worked with AMA (Figueres Association of Alzheimer Patients and their Families) and with La Salle Figueres School in the Reminiscències programme aimed at people who receive the support of the association. We cooperate with Cáritas - a Catholic relief organisation - in the Alt Empordà region by giving users of their services free access to the Museum. Every year, we also take part in the fundraising marathon led by the Catalan television channel TV3 and the “Un Dia de Nassos” initiative organised by Pallapupas, the Barcelona hospital clowning association.